When you find yourself needing a roofing contractor, no matter what your roofing needs may be, it only makes sense to hire a great roofing and siding company that is knowledgeable and has your best interests in mind. Whether you are in need of a new roof, have a roof leak that needs to be repaired, or a hail damaged roof, call Johnson Exteriors, the best Maple Grove Roofing Contractor. It will be the best decision you make because not only do we handle roof, vent, siding, gutter and window repairs, we are also the most successful company in the area to consistently get full reimbursements on weather damage insurance claims. Our Clients choose us because we truly care. You are not just another roof job or repair to us. We want your experience to be unforgettable in the fact that we were able to solve your roof problem and remove that headache from your life. Remember, You are trusting a contractor with your Home. With Johnson Exteriors, we treat your house like it is our house. We want to spend time talking with you about what the problem is, what the solution is and the proper way to fix it. A great roofing contractor should offer you the assurance of excellent results for your project. When looking for a roofing contractor, there are certain standards you should expect before making a final decision. The contractor should be registered with the State of Minnesota, properly licensed with the state, and have proper insurance. The contractor should always go to the local city hall to pull a permit for the project. And in our opinion, the contractor should be a member with the BBB and in good standing with an “A” rating. They should have a website, good reviews, and full contact and license information. If a contractor does not at least meet these standards they are more than likely not worth having out to your home. 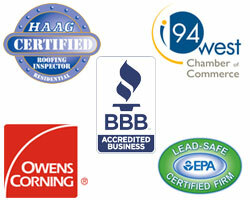 We always begin with a free roof inspection, and give you a full picture of your roof, what it needs and why. We never sell you something you don’t need. Our staff will dig very deeply into your venting process to find out if you have enough intake ventilation through your soffits or gable vents and if you have the right amount of roof vents, which come in many forms. These two areas need to be operating evenly in order for your roof system to work properly. The majority of roofing contractors don’t even talk about this with homeowners. We will go through and provide you with a detailed contract that will explain everything we plan to do. 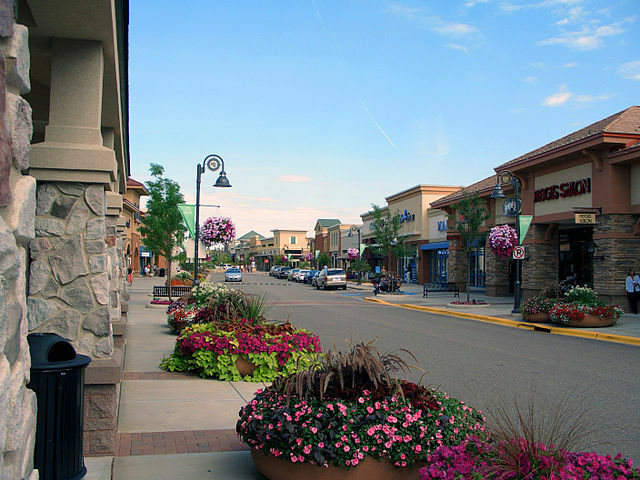 We do this for insurance claims and retail projects alike. Our contracts and the full explanation is so that both parties are fully informed and protected. When your project is completed we will provide you with a warranty certificate and we register your roof with the shingle manufacturer. Our specialty is assisting homeowners who have sustained weather-related damageto their roof or home. Wind damage is much easier to see because the shingles will have blown off the roof in bunches, or some of the shingles will be bent straight back. Both are very noticeable from the ground, so you should not climb on your for this. Obviously, if siding or anything else below the roof line has blown off, you will easily notice it. Hail Damage to your shingles, on the other hand, is not noticeable from the ground and most homeowners cannot see the damage, even when they are on the roof. It takes a trained eye to find it on the shingles unless you had baseball-sized hail hit your property. Of course, you will be looking for dents or breaks in your siding or fascia when hit by hailstones. Another very common problem is roof leak repairs, which usually occur because of wind damage to roof shingles that exposes the roof to rain and subsequent leaks. Other causes of roof leaks can occur when an amateur roofer works on a roof, or when a skylight is not properly installed, or when a homeowner decides to try to solve a roof problem with a do-it-yourself solution from the Internet. In these cases, frustrated homeowners finally call on a professional roofing company to take care of it. At Johnson Exteriors, we are prepared to accept all types of repair and restoration jobs for the exterior of your home, whether storm-damage related, aging roofs, or faulty work by previous contractors. We are always ready to help any homeowner out with a solution to any exterior problem on your property. We suggest that before you make a commitment to have a roofing contractor come out to your home, please make sure to learn as much as you can about the company and read the reviews of their customers, so you don’t waste your time or putt yourself in a potentially vulnerable situation. Learning as much about the contractor as you can will pay off in the long run. It went very well. Johnson exteriors dealt with our insurance company, was prompt with work and communication, and did an overall great job on our repairs. Description of work: We needed our roof and gutters replaced due to storm damage. We hope these tips help guide you in your quest to find the right Roofing Contractor in Maple Grove. Contact Johnson Exteriors to give you a free house exterior inspection. Call Bryan and Tracy Johnson today at 763-355-4458 so you will know exactly the state of your roof, vents, gutters, siding and windows to keep your home leak-free for years to come.